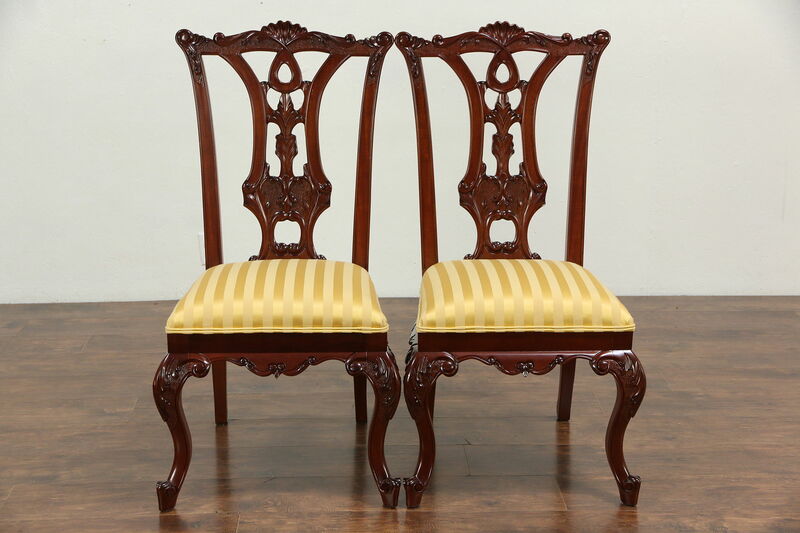 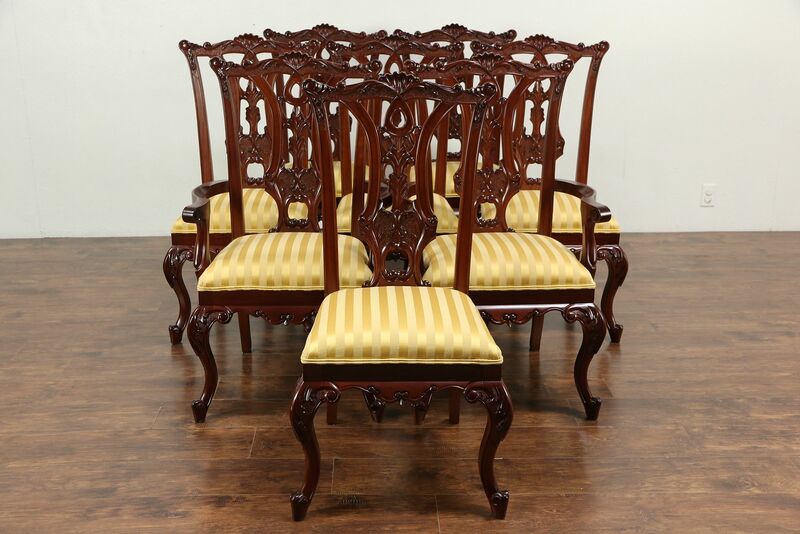 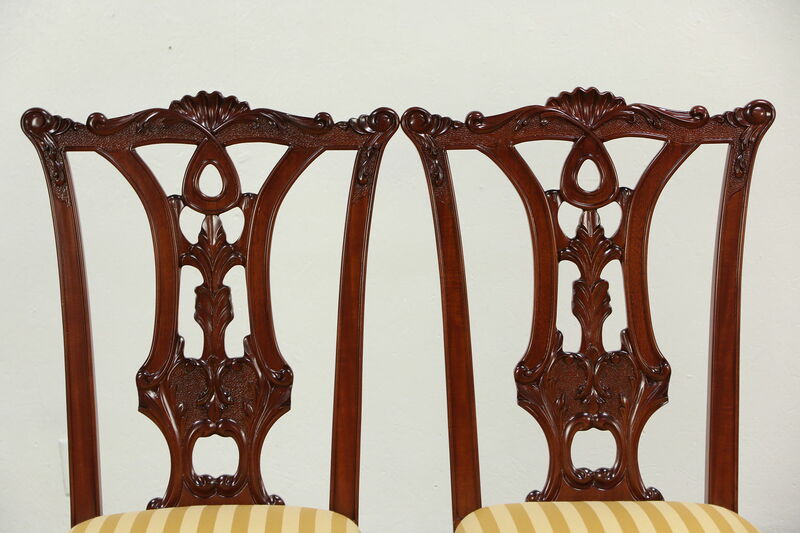 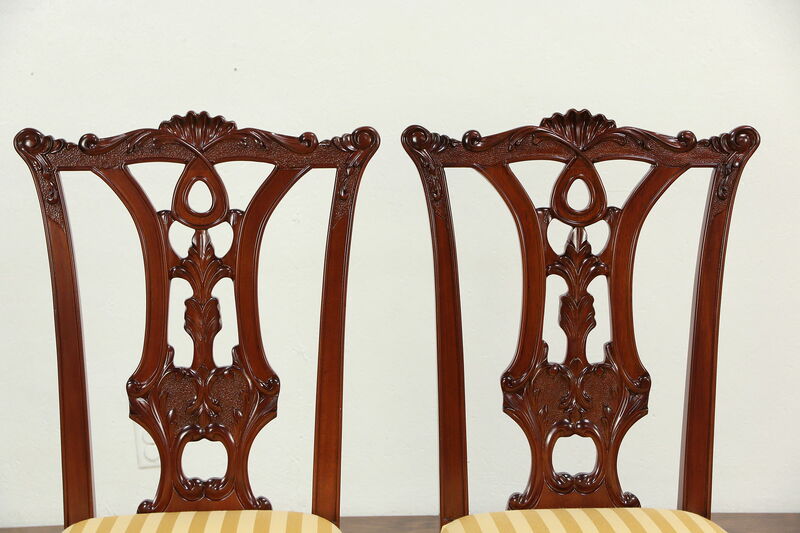 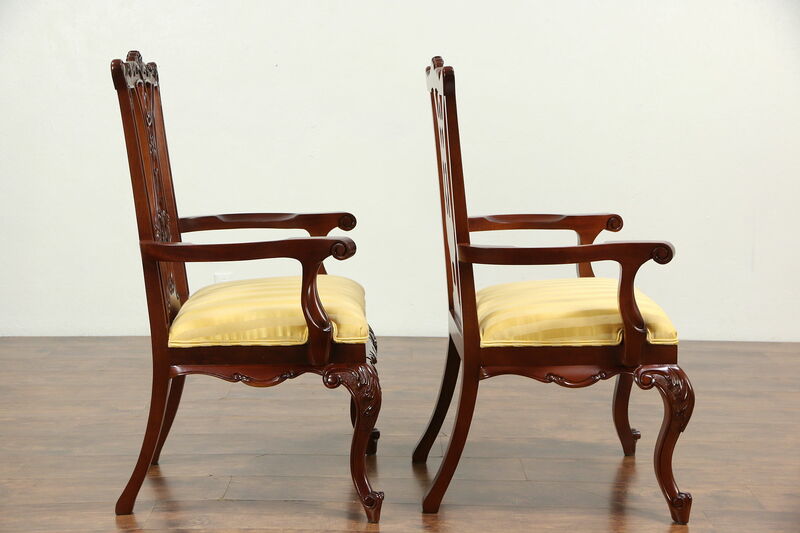 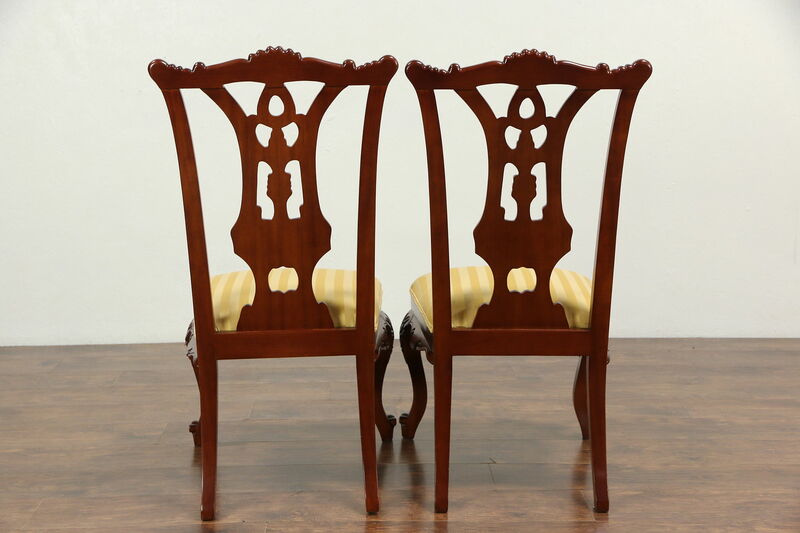 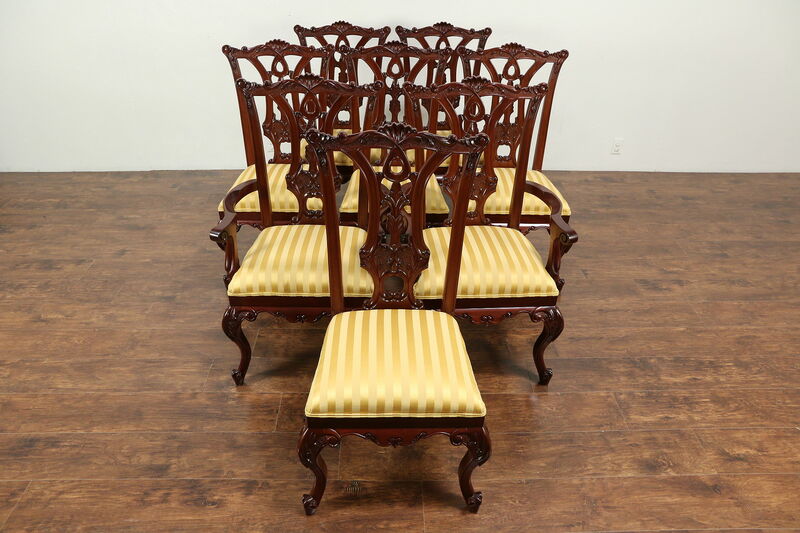 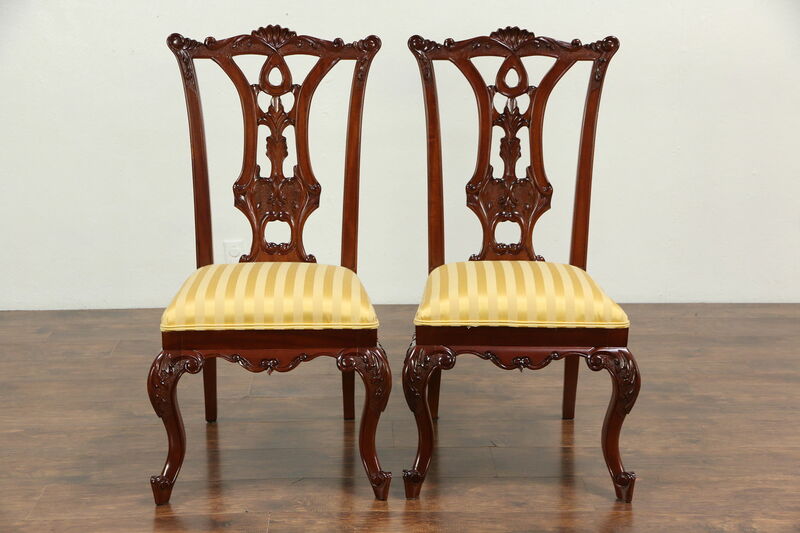 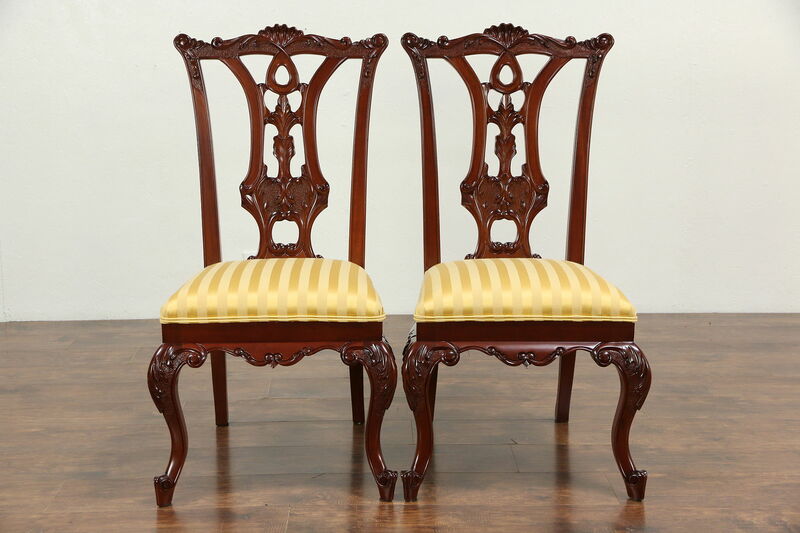 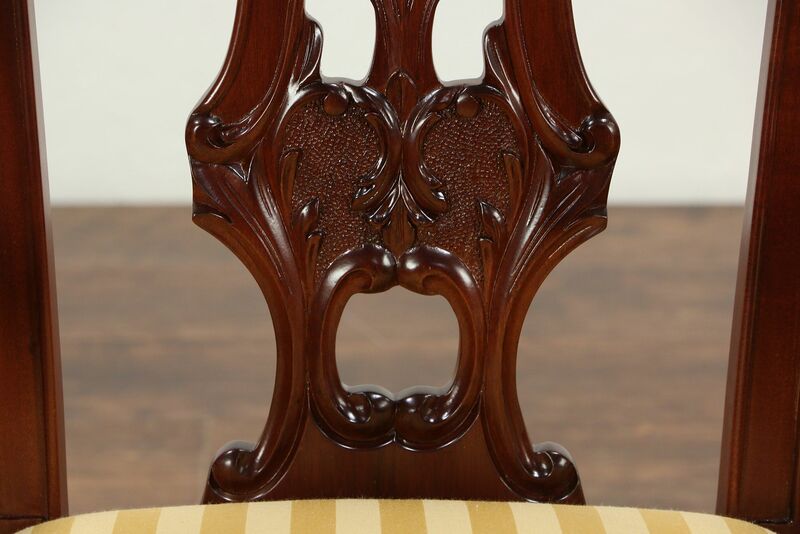 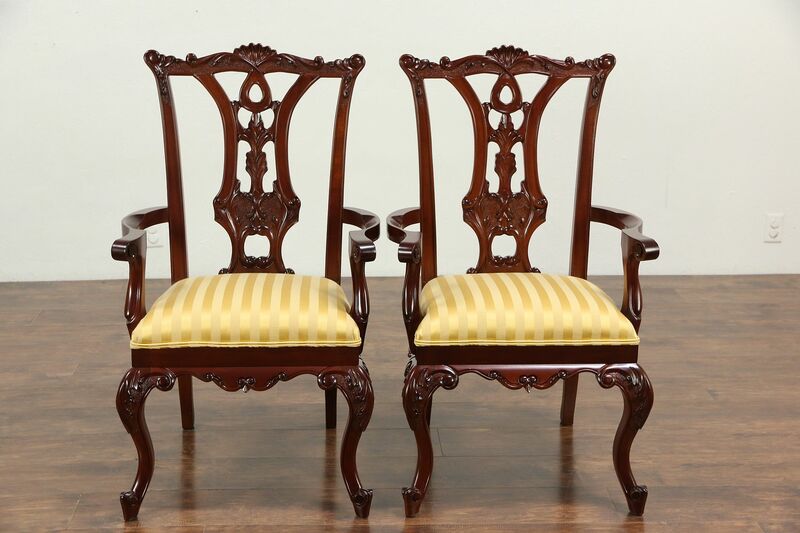 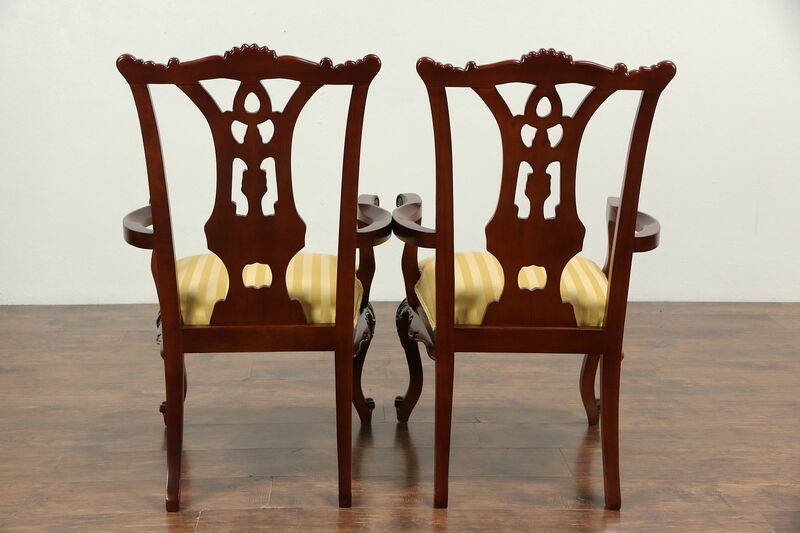 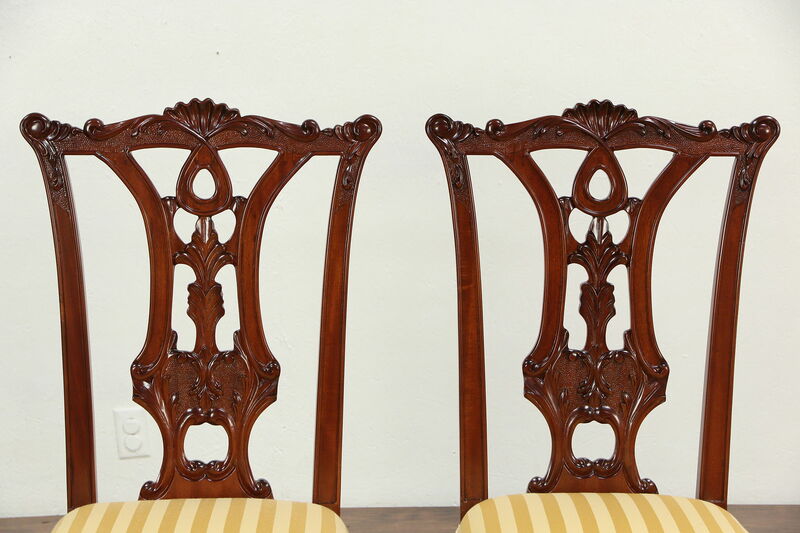 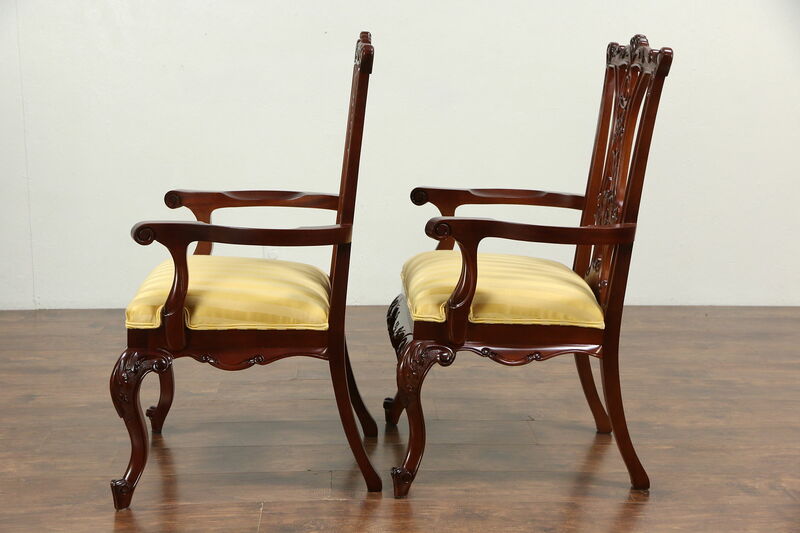 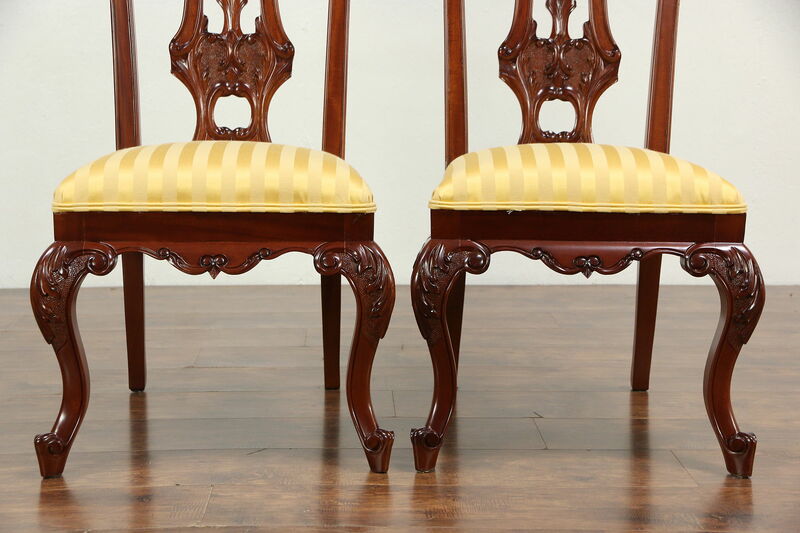 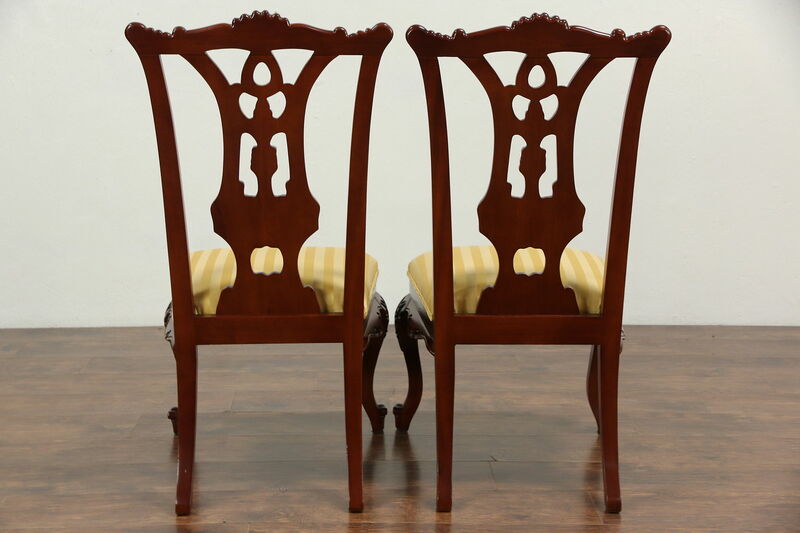 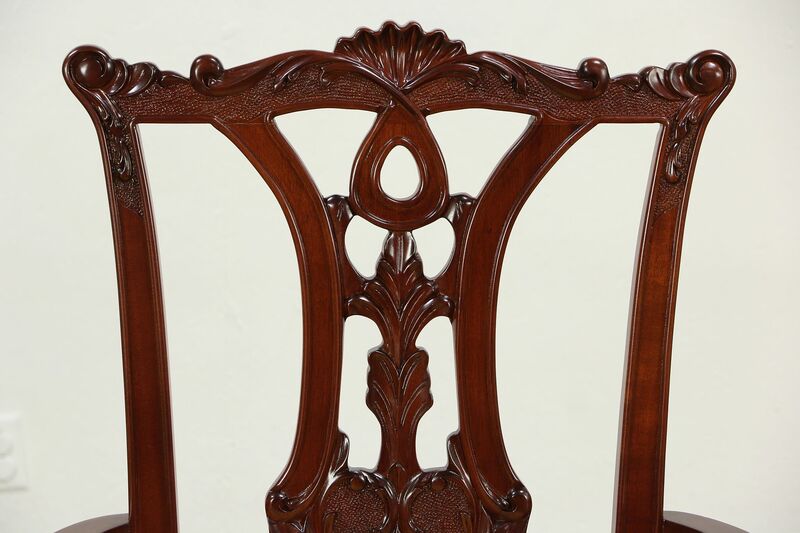 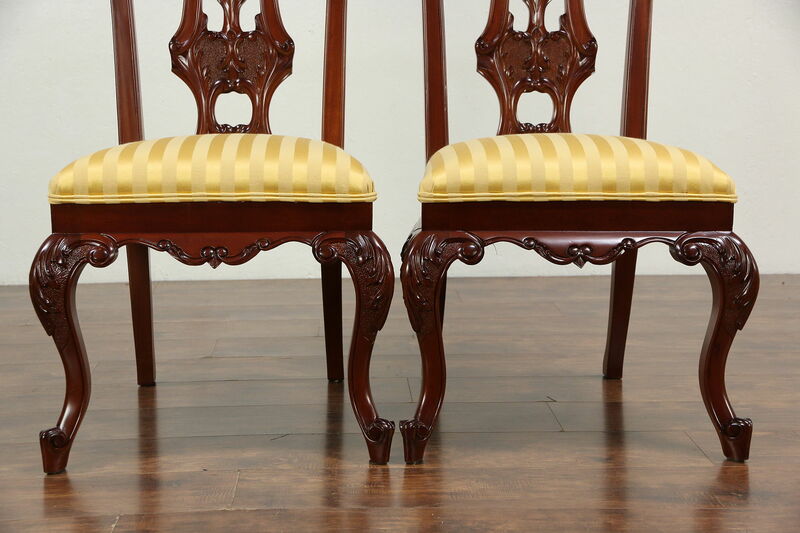 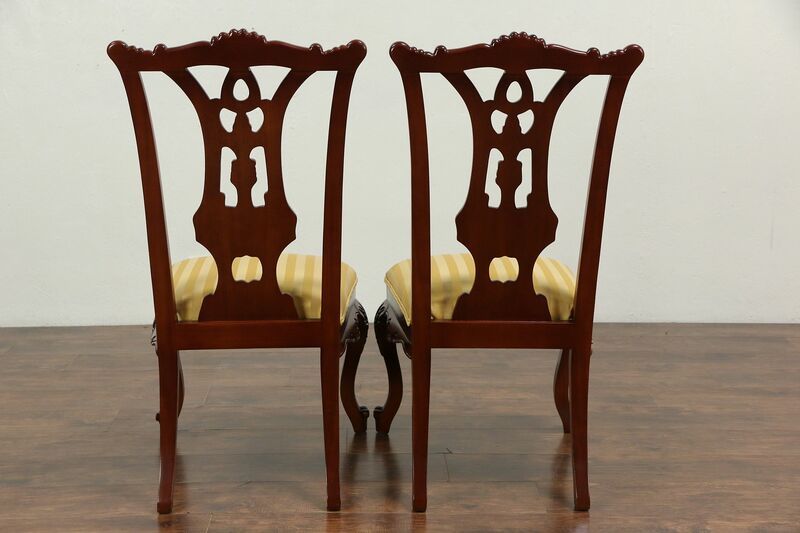 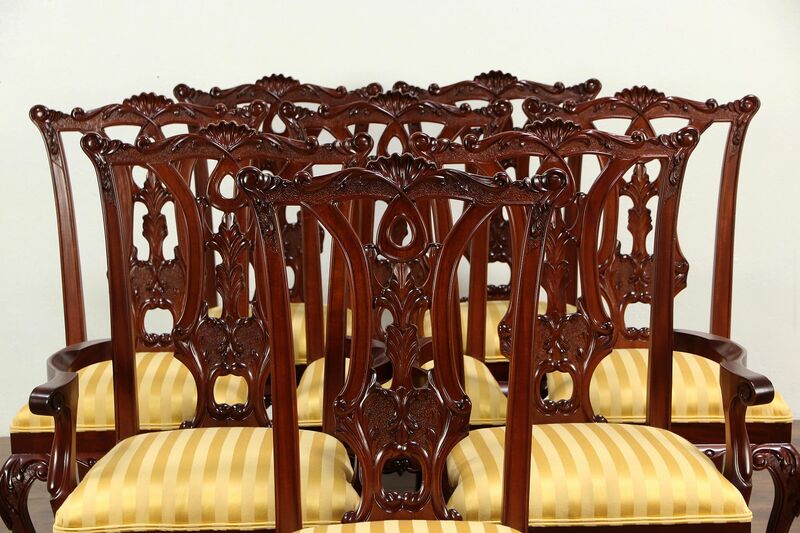 A set of eight Georgian design dining chairs were carved of solid mahogany about 20 years ago. 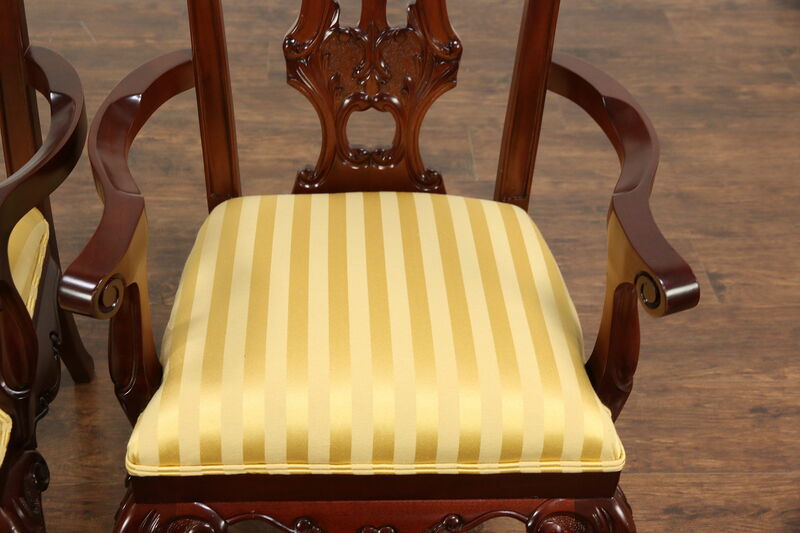 Upholstery and soft padding is new. 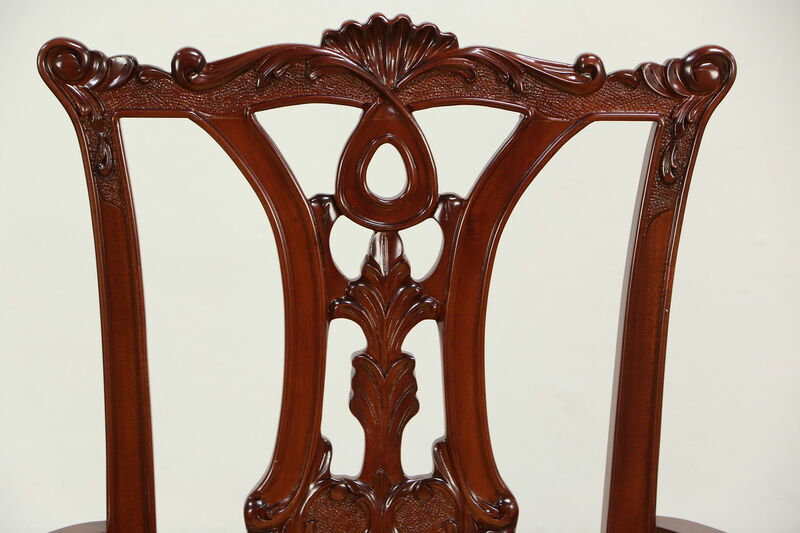 The frames have been reglued to serve another generation and the finish has been renewed. 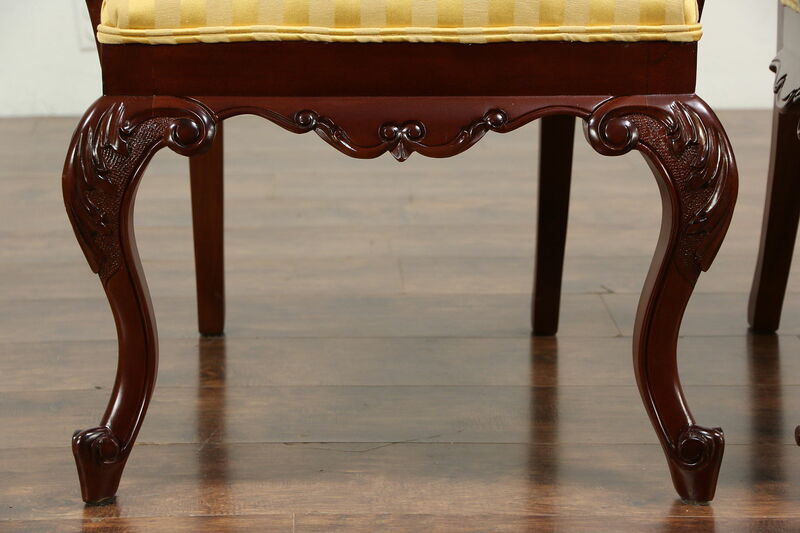 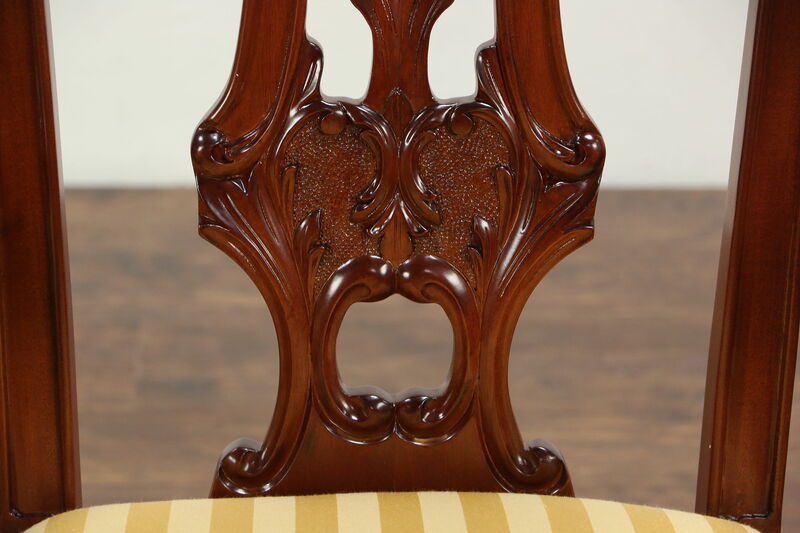 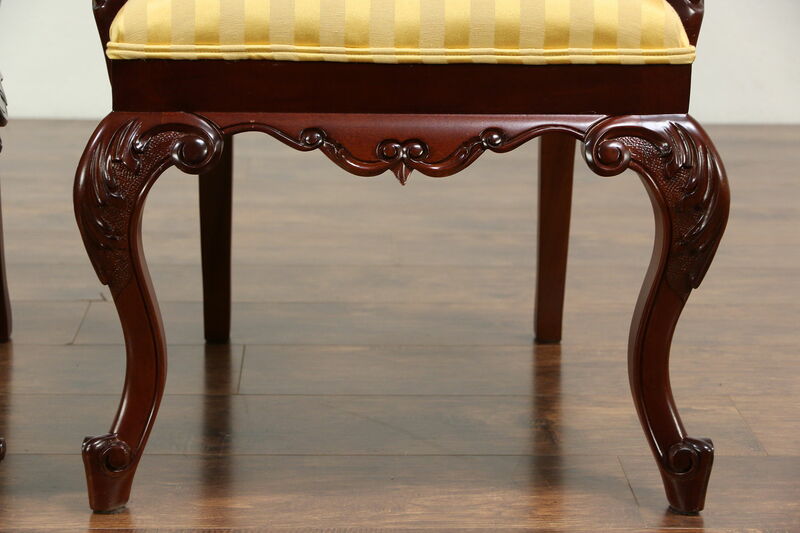 Richly carved detailing is authentic on this vintage furniture. 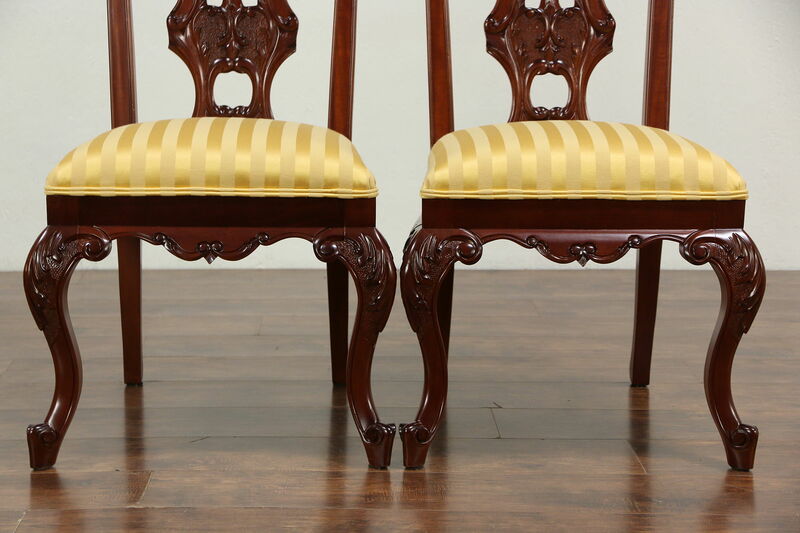 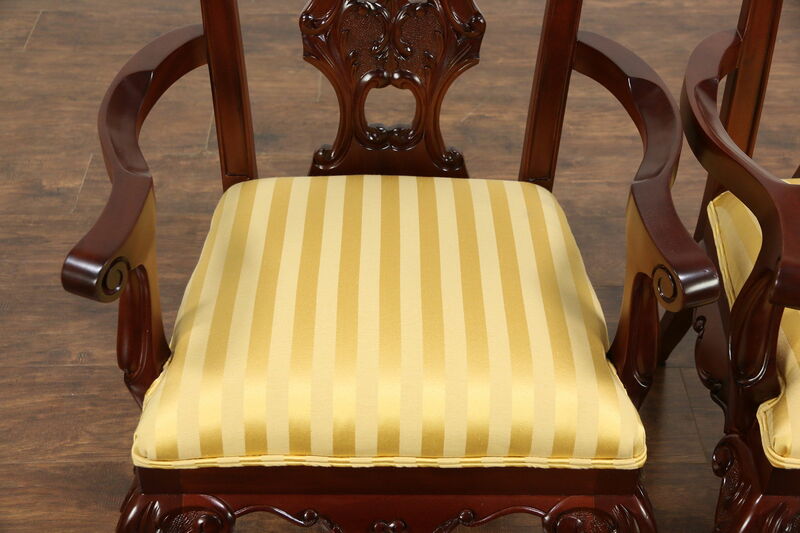 Two armchairs measure 25" wide, 24" deep, 42" tall and seats are 20" high, six side chairs are 22" wide and 21" deep.